Are you thinking about or planning to put on an event on ageing and health? WHO has launched the toolkit “Action for ageing” to support regional and country offices, NGOs and other partners around the world who want hold events on the recently published World report on ageing and health. Events could target a range of stakeholders for awareness-raising, engagement and action towards Healthy Ageing. The toolkit sets out ideas for innovative events that can be used to complement or replace more traditional and formal formats and gives practical tips for how to put on a great event. The idea: creative, interactive and informal events are likely to be more conducive to innovation, problem solving and genuine engagement. 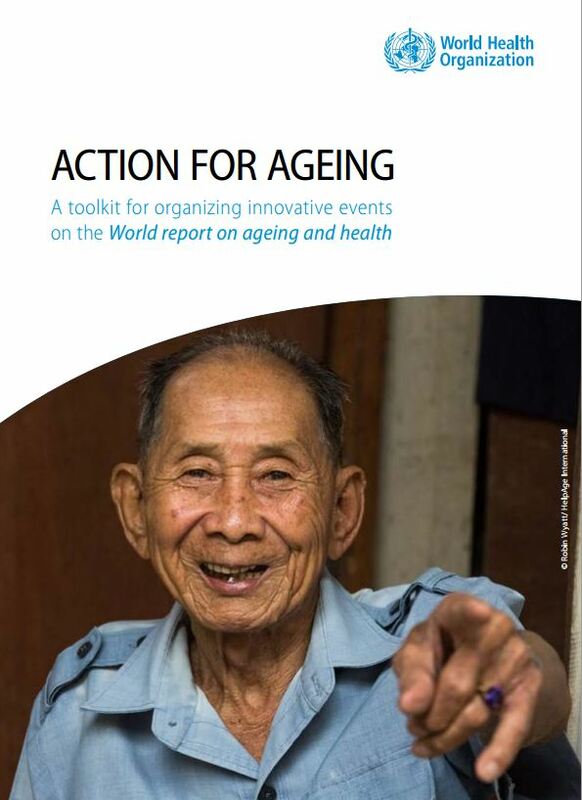 This toolkit thus discusses proposes various creative ideas that can be combined to suit your needs and resources, so that you can put on an event with impact on ageing and health.